Zinedine Zidane's second spell as Real Madrid coach got off to a promising start with a 2-0 win at home to Celta Vigo in La Liga on Saturday. Thanks to goals from Isco and Gareth Bale, who had fallen out of favour with previous coach Santiago Solari. 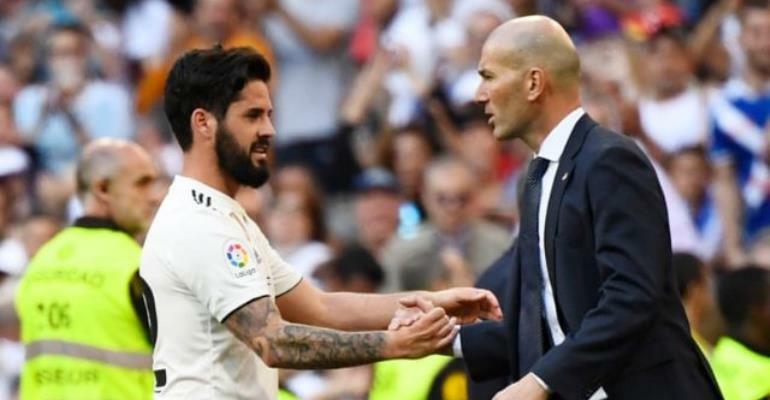 Spain midfielder Isco was handed his first start in the league since October by returning hero Zidane and broke the deadlock in the 62nd minute by tapping in a low cross from Karim Benzema at close range. Luka Modric had a goal ruled out for offside earlier in the second half and Bale, who had struck the crossbar in the first period, sealed victory with a shot in off the post in the 77th minute, further lifting the mood at the Santiago Bernabeu. Real are third in the league standings with 54 points after 28 games, two behind second-placed Atletico Madrid who visit Athletic Bilbao later on Saturday and nine points behind leaders Barcelona who play at Real Betis on Sunday.